This picture shows an installation inspired by Italian design, these chunky floating shelves and alcove desk by London Carpenter are finished in high white gloss. 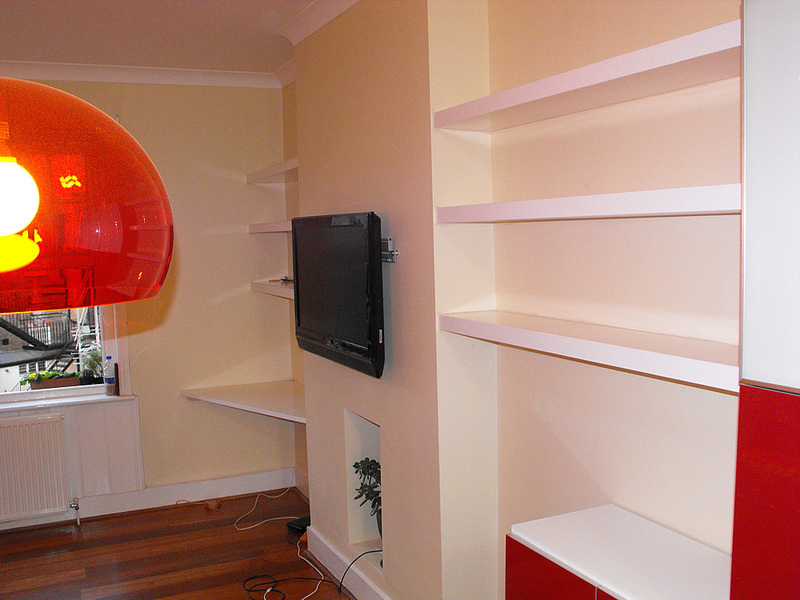 Both alcoves required cable access through the shelves to allow for electrical equipment to be stored at higher levels. London Carpenter designed all shelves to include cable access and cut these exactly where required.